German vehicles have a reputation for their engineer-centric approach to car development. This is what gives Mercedes-Benz its reputation for performance and quality. It’s also why you can’t entrust your Mercedes-Benz to just any old mechanic! And with an independent service centre, you receive all of this service at a fraction of the dealership cost! Whether you need a routine inspection or a major service, get in touch with Ammstar today to enjoy an affordable alternative to dealership service. 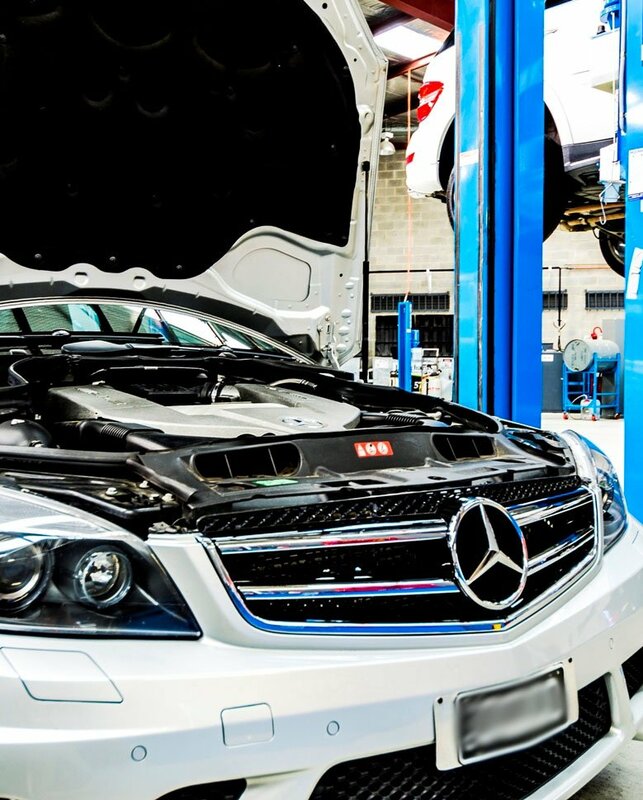 We offer exclusivity and exceptional, specialised knowledge – so for truly independent service, book your next Mercedes-Benz repair or maintenance with Ammstar. It’s simple: we know our stuff! Our staff possess decades of collective experience – from the fuel lines, to synthetic motor oils to electrical wiring, we’ll be able to find the problem. Best of all, we provide all these services without charging you an arm and a leg. All of our work is clearly laid out on easy-to-understand quote sheets, and we don’t commence work until you’ve signed off on everything and approved your quote. In addition to routine servicing and major repairs, Ammstar also offers a wide range of used Mercedes-Benz cars at exciting prices. Have you always dreamt of the unrivalled class, luxury and performance of a Mercedes-Benz? Or do you want to pass your old Mercedes on to somebody who’ll give it the love it deserves? Visit our sales page to find out what’s currently on offer!